Crudo means raw in Spanish. The name is reflected in the restaurant’s interior design – informal, with a characteristic smartness. 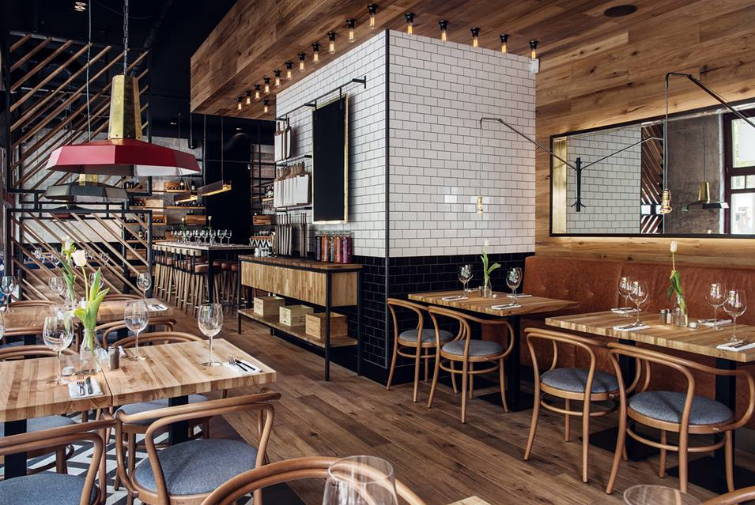 Concrete walls, wood and metal contribute to the special atmosphere of Crudo, which is located in the heart of Monte Cassino. The name also reflects the simplicity of the dishes. We combine experience and passion to cook at the highest level. The team is inspired by our chef’s philosophy – ‘from nose to tail’ – and offers an original menu to our guests, tempting them with simple dishes of pure flavour. Strong culinary emotions are summoned up thanks to the staff’s cooking skills and to an open kitchen equipped with mighty lava grills. The method of preparing, processing and frying on volcanic stones brings out the real taste and aroma of the meat. It is our goal to evoke culinary euphoria.